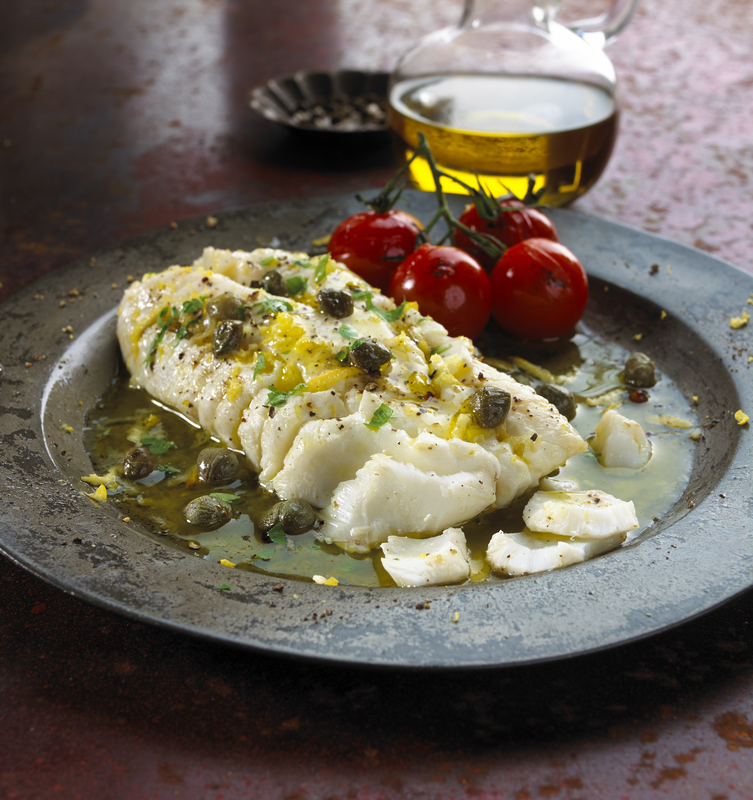 Cod Piccata With Lemon and Capers | Flavor Your Life. In a small saucepan, heat the olive oil, butter, lemon juice, garlic powder, and lemon zest until butter is melted. Stir in the capers. Place cod in an ungreased 13"x 9" baking dish. Sprinkle with cracked black pepper. Spoon the olive oil/caper mixture over fillets and place in the oven. Bake for 12-15 minutes or until fish flakes easily with a fork. To serve, sprinkle with the fresh chopped parsley and divide onto 4 plates.